Sewing is something that I really can’t do – I don’t know why, but my thread always breaks or gets all muddled up and my lines are never straight. Bah! 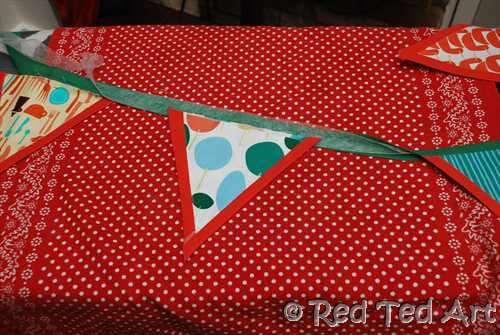 Recently, I visited a friend’s house and she had sown a beautiful bunting for her son’s Birthday. It reminded me that my sewing skills indeed are rubbish, but that I really wanted to have a go too. So I sat and I sat and I sat. And I thought and I thought and I thought. My twitter friends came to my rescue when I asked about iron on ribbon: Wonder Web. What wonder wonder web is! Basically you place it between the 2 pieces if fabric you want to sew and iron it on. (It melts). 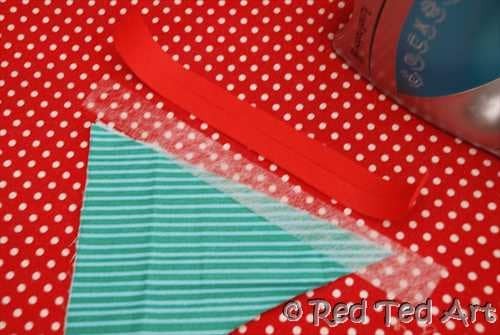 Would this work for bunting? I saw. I tried. I succeeded. Now you can too! 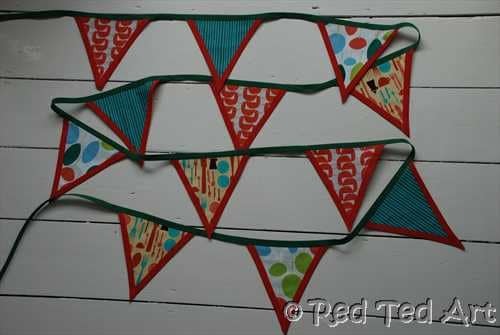 What you need: My bunting is 3.5m in length. For this you will need: Fabric (approx 6″x24″ x 4 patterns or less patterns/ more fabric), Wonder Web (25mm, 8.5meters), Cotton Bias Binding (25mm, 8.5meters), Scissors, Card (6″x6″), Iron & Ironing board, 2 Tea towels – at the end some pins – but you can manage with safety pins/ paperclips, pen or even cloth pegs, pins do work though! 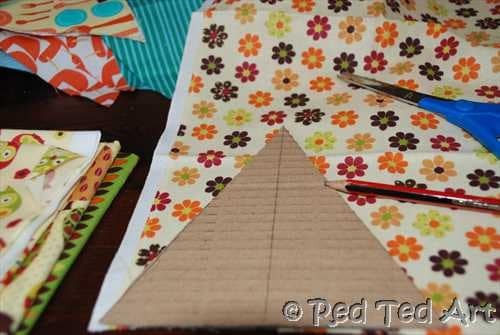 Step 2: With pencil, draw the triangle shape on cloth – mind how the pattern goes it may look better in a certain direction. 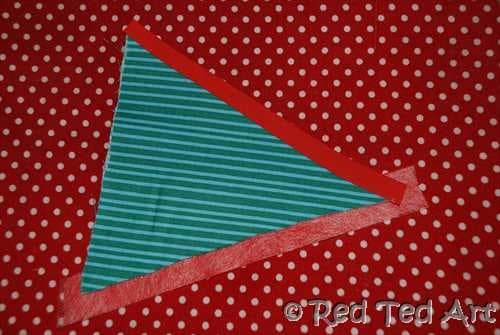 If you top and tail triangles, you save cloth, as well have less to cut. 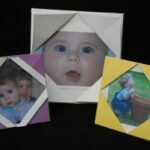 I cut 3 of each of the 4 patterns: 12 triangles. Am sure 9 would like nice too! Step 4: place on tea towel, put another towel on top. Hold in place – it is v easy that the bias binding moves, so be careful. Place HOT iron on top. Check nothing has moved and repeat with hot iron – I leave it a little while so that the wonder web really melts. Don’t burn it though!!! Step 5: tidy “tips”. And repeat Step 4 on other side of triangle. I make the bias binding longer on this side so it sticks out. This way you can trim to a nice crisp edge. Make up all 12 triangles. Remember to place a tea towel underneath and on top – else you will get a sticky iron and ironing board! Step 7: Lay “hanging” Bias Binding (I used 3.5meters) on floor and space out flags evenly – you can do this with a ruler or just roughly by eye. Mark middle of the bias as to where they need to go with a pencil or pin them. Step 8: This was the trickiest bit of all, as it is such a long piece. And then iron section for section. Keep checking everything is nicely aligned. I press briefly with iron so that it holds, check it and if ok, then put the iron for longer, so that it really sets. I then went over the whole lot again making sure all the wonder web has melted and secured tightly. It took me two leisurely evenings of watching TV to make TWO SETS! Please DO email me if you have any problems/ questions! I had never used a sewing machine till last september and I love it. I couldnt deal with the iron and bias binding. I already burn my arm once this week! 😉 lucky you!!! 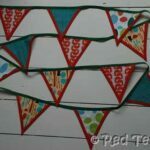 Wish I could sew better – prob need a decent machine (poor workman blaming tools)… but you can still make his bunting with a sewing machine!!! 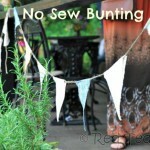 Great bunting! I am only learning to sew and it still scares me senseless. I especially love the color scheme you chose. Thanks so much for the sweet comment on my blog regarding my paper flower tutorial. You are welcome to post it here. Just let me know when you do so I can send people from my blog over to you and yours. Thank you so much for sharing this tutorial with us. 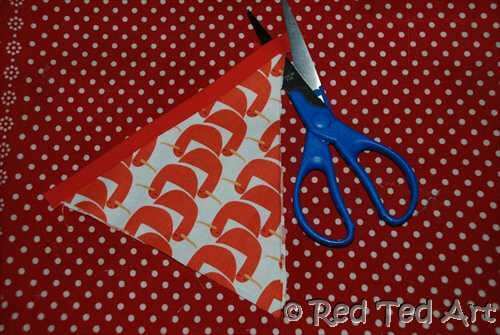 here is my first attempt at new sew bunting. I cant wait to make more. oooh, fabulous! so pretty! am impressed, glad you “liked”! 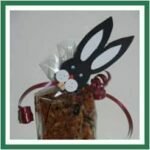 Do make more, theyu make a FABULOUS gift!!! It looks wonderful! Thanks for the link! I love this! I am so not a sewer so this is just perfect for me. Thanks for sharing!! How fun! I’ve wanting to make one of these for awhile! Thanks for sharing! oooh, I am so excited! So pleased you had a go and LOVE your finished item! Yay! This is pure genius! I bought nautical pendants a year ago (I don’t even want to tell you how much I paid) and I really wish I would’ve realzied how simple it could have been to make them! I can only hand sew(ish)… so am glad to find fellow non-sew-ers!!! 😉 Would definitely look LOVELY for 4th July!!! Great tutorial! It turned out great. 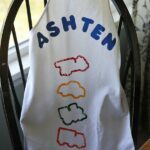 Thanks so much for linking up to Finished for Friday! It’s the “new sew” thing that makes your project oh so sweet. Thanks for sharing how to do it. Thank you 🙂 glad you like it! Had much fun “inventing” it!!! 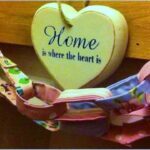 Am thinking up other stuff you can make “No sew” too…. mmmh. Well done. Part. for a non-seamstress!! Great-looking idea!! 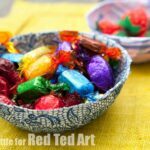 Thanks for linking it up at Fine Craft Guild DIY Linky Party. Do join again with an equally great tutorial next party, will ya? It opens Wednesday and you can reach it from our homepage. Great idea!! 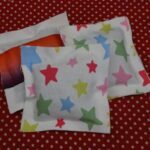 Thanks for linking it up at Fine Craft Guild DIY Linky Party. now if I can just think of something to celebrate…. So pretty! And kind of funny, too. I had just been sitting here thinking I needed to get downstairs and work on the fabric garlands I wanted to make, and here you are with a tutorial! Oooh am so pleased you had a go and your bunting looks great!! !